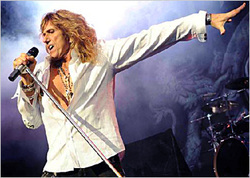 Untempered by age or the unnatural glow of his elegantly strained cheeks David Coverdale seems to have the time of his life with his brainchild, Whitesnake that is. Touring at a ferocious rate certainly demonstrated new leas of life from this one time Saltburn boutique salesman that graduated through the turmoil of Deep Purple only to make Whitesnake one of the most recognizable brands in hard rock. On this falls journey the Snake is accompanied by the proficient rock & roll horde of eager Irish up comers, who share similar view of things, but have slightly different way of putting it. 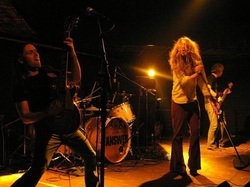 _The Answer did their bid to prove that classic rock was still a thing of much interest among the younger generations of musicians. 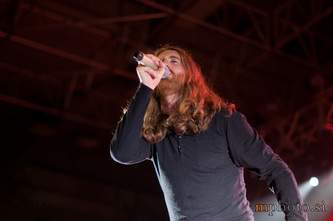 All charged up and comfortably flying on the wings of their latest album “Revival”, the band showed excellent form. What we’ve witnessed squeezed out of an understandably shortened set list was series of well-heeled screams of sleazy, distorted 70s hard rock. Individually they stood strong, Paul Mahon presented himself as a great guitar player arm packed with sizzling riffs and there’s little doubt of Cormac Neeson being up there with the best of today’s front men. With “Revival” popping out just recently, new material was hard to bypass. 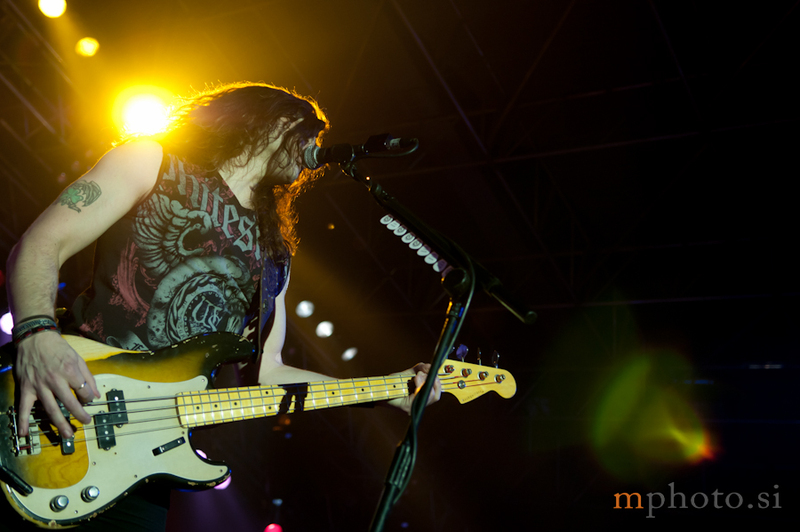 And with more than a couple album reviews justifiably accusing the band of misfiring on a number of occasions, we were happy to see numbers like “Waste Your Tears” and “Trouble” delivering the goods in their charged up on stage mode. Accompanied by standards, The Answer didn’t put a foot wrong once. With shows like that, we can clearly see them climbing up towards securing the headlining role in near future. Whitesnake’s recent onstage form is debatable to say the least. 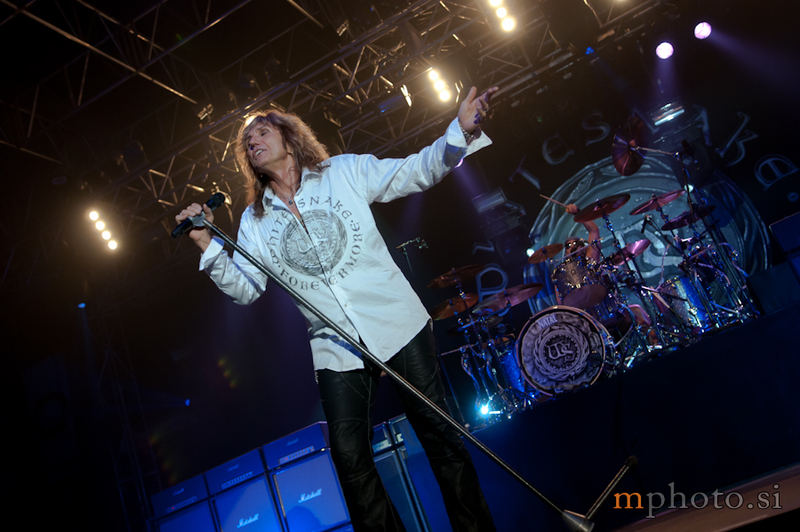 In any case, it remains a must see event for any hard rocking soul, no matter how much aggravation accompanied by first rate earache David Coverdale unkindly threw upon us recently with his much frenzied vocal deliveries. Speaking of Whitesnake, packed with formidable duo guitar whiz of Aldrich and Beach, it’s a neatly polished shredding show off swagger, still at the same not quite up to the requirement standards of the old snake fan camp. Frankly speaking it’s far from it actually. 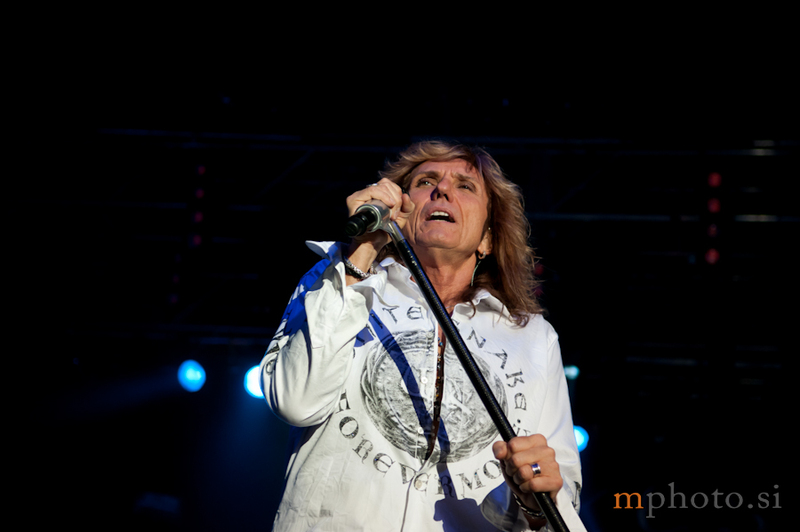 Mostly due to Coverdale’s deteriorated vocals it must be said that frustration has been settling in with the older fans for some time now. Not that this matters much with modern day Whitesnake philosophy. Judging by the affection shown by the youngest of the snake worshipers in the crowd it seems that one quick taste of “Here I Go Again” or “Still of the Night” is enough to keep them wobbling in adulation. It’s the same old story seen with many hard rock dinosaurs today, where evident lack of performance value is being compromised in the eyes of the fans with spillages of almost religious like devotion towards their favourite onstage persona. And who could blame them, since, frankly speaking, there are no other alternatives. Musically speaking Whitesnake gave us a top notch nose to tail performance. Think and fast action was predictably concentrated around the familiar set list of 80s charts chargers like “Love Ain’t No Strangers” and “Give Me All Your Love”, with a couple of “Forevermore” favourites clawing their way on to the list. Coverdale tends not to dig deeper in the past, and with the razor sharp Whitesnake’s band format, this indeed is a sensible decision. However, the enthusiastic crowd was rewarded with the usual “Burn” and “Stormbringer” medley. In overall view, it was an evening filled with cheerful goings-on which marked a memorable occasion. Notwithstanding the fact that times do move remorselessly on there will always be something comforting present in the air - just as long as the snake keeps on rattling.